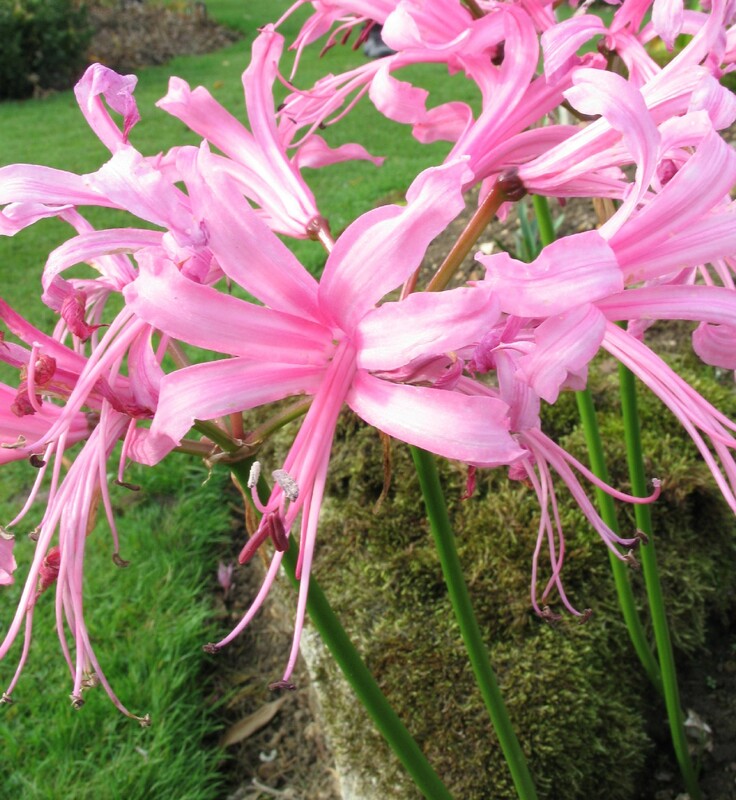 Adding a splash of colour to your garden in Autumn is easy with these fantastic pink Nerines. Plant the bulbs in Spring and you will be rewarded with their striking flowers from September to November. Nerine bowdenii originates from South Africa but is fully hardy in the UK if planted in a sunny, sheltered site. I like to use them in a garden to provide a dramatic statement by planting them in blocks or thick rows at the front of a border. Their bright pink flowers contrast well against dark or evergreen backdrops and they also look stunning planted in patio pots. I love them because their colour is decidedly un-autumnal!